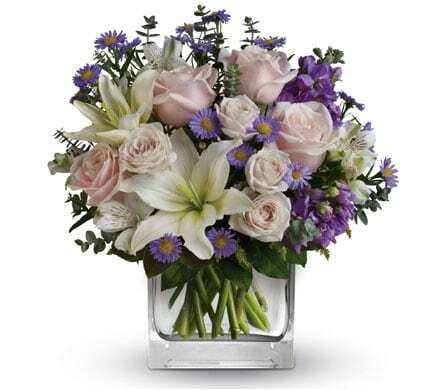 Located in Brighton, our florist delivers to all the major locations in the area. To make your flower order flow as smoothly as possible, we deliver promptly to institutions like hospitals and other medical centres, churches, funeral homes, crematoriums, cemeteries and nursing homes. In addition to servicing the locations within the borders of Brighton, we also deliver to other areas in Brisbane that are close to the suburb. We always abide by the policies set by hospitals regarding the delivery and acceptance of flowers on their premises, while at the same time striving to transport your order to your desired location. Some of the hospitals that we service include Brighton Medical Centre, Ebbtide Transition Care Unit, Redcliffe Hospital, Jacana Acquired Brain Injury Centre and Peninsula Private Hospital. Some of the nursing homes and other rehabilitation centres that we deliver to in and around Brighton include Anglicare Southern Queensland Symes Grove Residential Aged Care, Holy Spirit Boondall, Anglicare Southern Queensland St Martin's Residential Care, Regis Sandgate and Ozcare Ozanam Villa Aged Care Facility, Clontarf. Among the churches we deliver to in and around Brighton are the Church of the Real Presence, Sacred Heart Catholic Church Sandgate, Sandgate Uniting Church, Sandgate Seventh-day Adventist Church and Bracken Ridge Uniting Church. Nudgee Cemetery, Pinnaroo Lawn Cemetery and Crematorium, Redcliffe Cemetery, George Hartnett Funerals and Compassionate Funerals Queensland are just some of the funeral homes and cemeteries to which we deliver. 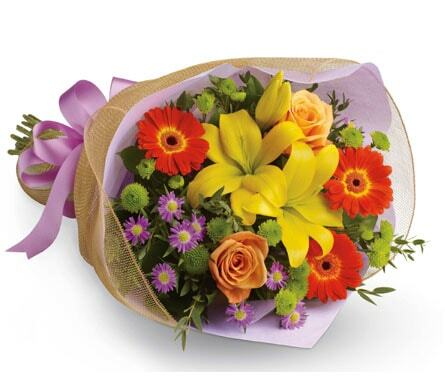 The only thing better than receiving a brilliant bouquet of flowers is receiving them by surprise! Several of the arrangements in our catalogue make the perfect surprise gifts, lifting your loved one�s spirits and turning their day around. Our �Rainbow Surprise� box is a great way to amaze a friend or loved one. 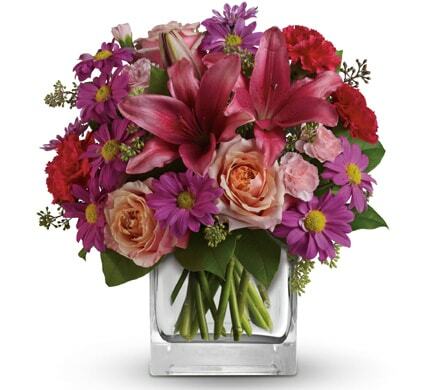 This bright and vibrant arrangement features just about every colour you can think of, and will warm anybody�s heart with its infectious energy. The suburb of Brighton is located in Brisbane, around 19 kilometres to the north of the Brisbane CBD. Straddling the Pine River and Bramble Bay, Brighton sits alongside the suburbs of Bracken Ridge, Bald Hills and Sandgate. A government-protected, wooded wetland exists within the suburb, and boasts three kinds of woods flourishing within. A creek is also contained within the area, which houses a range of native Australian flora and fauna. One of the most prominent buildings in the suburb is the Brighton Hotel. The pub was once used as a home by an early European settler before being used as an orphanage in the early 1890s.